A tasty, Mexican-style marinade for tacos or fajitas. Wake up your taste buds with this special blend of spices. 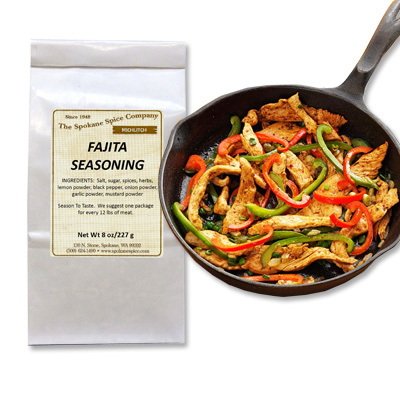 Michlitch Fajita Seasoning Mix is a zesty blend of condiments that makes preparing delicious fajitas a snap. It has a well-balanced flavor that's mouthwatering but not too spicy. A great addition in creating the ultimate fajita! Our Fajita Seasoning is made with the highest quality ingredients, and we use a unique blend of spices to provide a true authentic Mexican eating experience.